Sen. Charles Grassley, R-Iowa, has some harsh advice for AIG executives who took a share of the $165 million in bonuses paid out last week. Speaking to a Cedar Rapids, Iowa, radio station, Grassly said, "I suggest, you know, obviously, maybe they ought to be removed. But I would suggest the first thing that would make me feel a little bit better toward them if they'd follow the Japanese example and come before the American people and take that deep bow and say, I'm sorry, and then either do one of two things: resign or go commit suicide. The senator, at left, wasn't really advocating ritual Japanese suicide for the AIG executives, and later qualified his excessively righteous remarks of indignation as an appeal for apology, remorse and contrition from AIG executives. Grassley joins a chorus of Capitol Hill voices making clear to their constituents that they are just as outraged as they are about the AIG bonuses and bailout. President Obama said he was "choked up with anger." Sen. Christopher Dodd, D-Conn., suggested that AIG bonus recipients pay a provisional tax to recoup taxpayer dollars. House Minority Leader John Boehner, R-Ohio, pivoted politically on the bonus problem, saying that it helped confirm his belief that Republicans should not support a bailout expansion for banks. The wagons are circling around the AIG bonuses as if it were Custer's Last Stand, creating a major distraction for the Obama administration, which until recently assumed that AIG was contractually obligated to pay the bonuses. "If we simply throw up our hands, refuse to deal with any of this, we'll have the kind of financial catastrophe that we saw after what happened at Lehman Brothers. 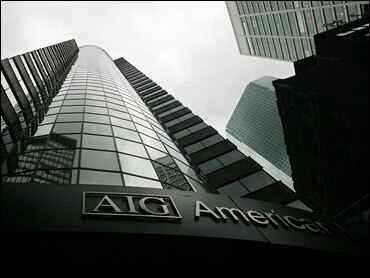 [Treasury] Secretary Geithner has negotiated very forcefully with AIG. He has done everything that is legally permissible for the government to do to limit the payment of bonuses. But where there are contracts, binding contracts that were entered into long before the government put any money in to AIG -- we're not a country where contracts just get abrogated willy-nilly." On Monday, Mr. Obama said he would ask Treasury Secretary Timothy Geithner "to use that leverage and pursue every single legal avenue to block these bonuses and make the American taxpayers whole." But it appears, the legal avenues have been explored and discounted, based on Summers' statement (see Andrew Cohen's post on legal issues surrounding the bonus payments). AIG CEO Edward Liddy defended the bonus payments as necessary to attract and retain "the best and brightest talent to lead and staff" and that compensation should not be subject to "continued and arbitrary adjustment by the U.S. Treasury." "The best and the brightest? Is this guy serious? As of Sunday, AIG stock had gone down 99 percent over the past year because of these geniuses. But we have to worry they might quit and go elsewhere? "Fine. Let them go. Maybe they can get jobs in Zimbabwe, where kleptocracy is official policy. I think some of them would feel more comfortable there." New York State Attorney General Andrew Cuomo said he plans to issue subpoenas that would force AIG to release the names and other information (such as performance data) of executives who received bonuses. That approach may be the best way to salvage the situation for all parties. Rather than be tarred and feathered, or commit suicide as Sen. Grassley suggested, the AIG executives might just want to give something back for the good of their reputations, peace of mind and country.